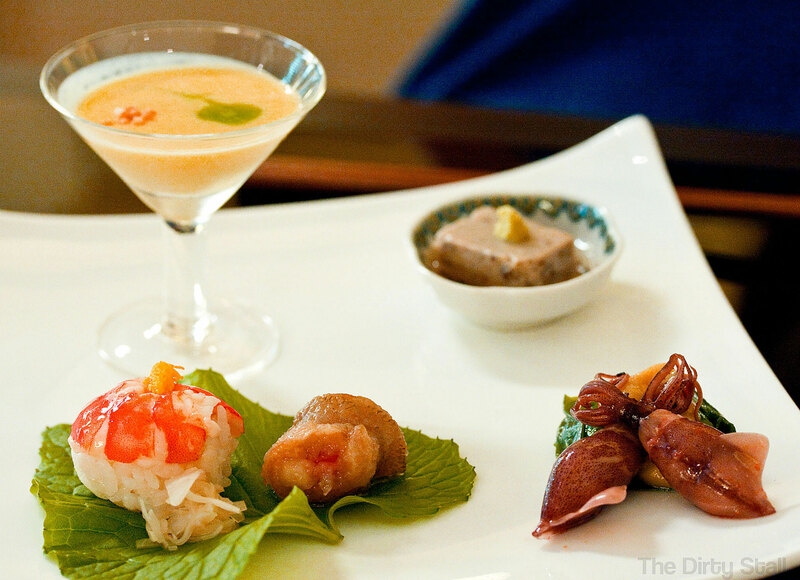 Goto Japanese Restaurant is a kaiseki restaurant set in the heart of Singapore. This small restaurant was set up by Goto Hisao, the owner and chef who was formerly the chef to previous Japanese ambassador in Singapore. 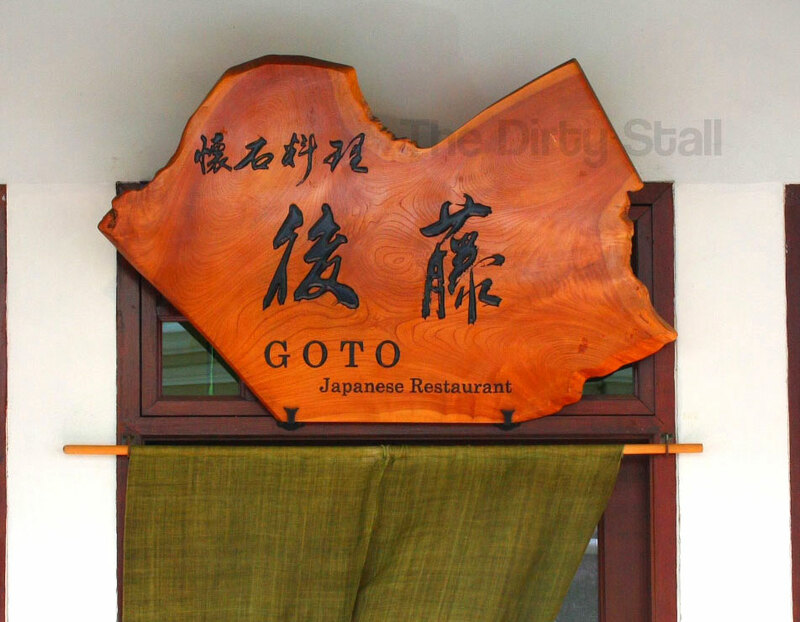 I had read about the exquisite quality of their food served here at Goto from the other blogs and so despite the steep price, I decided to at least give it a chance for lunch. 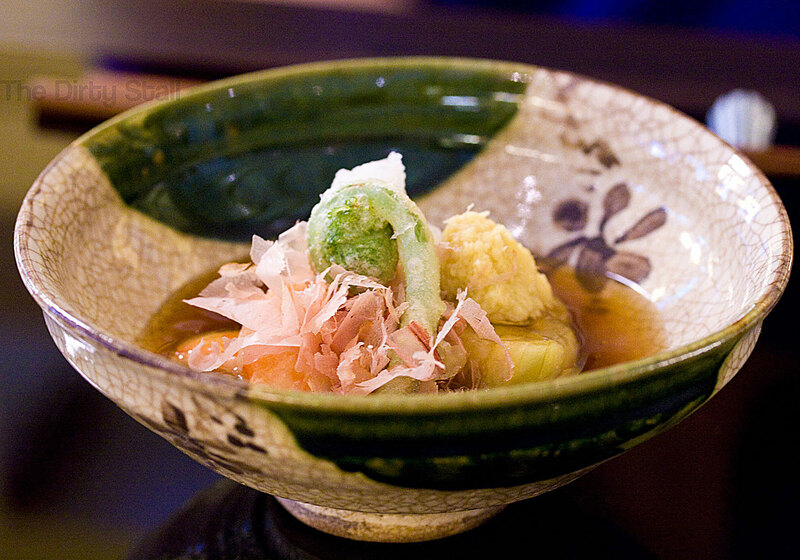 Kaiseki is a traditional Japanese multi-course meal which consists of several courses of carefully prepared dishes which reflect what the seasons have to offer. Great detail is put into cooking the dishes, aiming to enhance the flavour through the balancing of taste, texture and presentation. 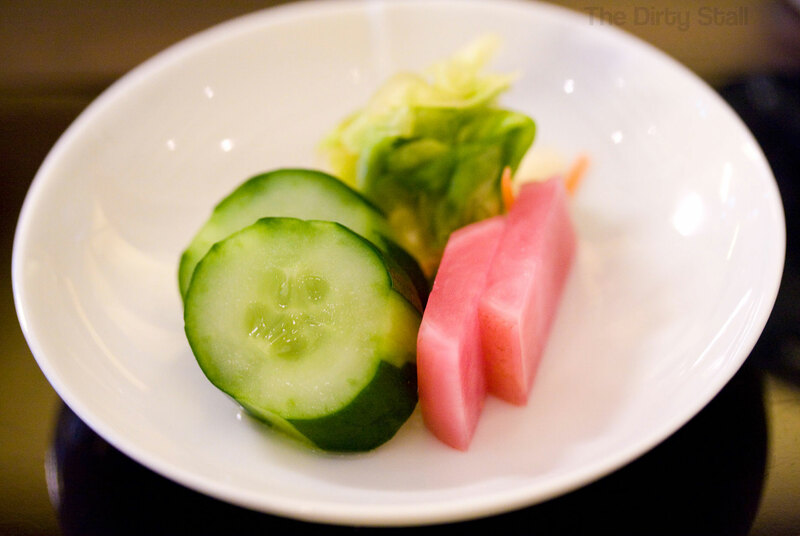 Most of the ingredients are also fresh and flown in from Japan. There is no menu as everything is decided by the chef based on what the seasons offer. 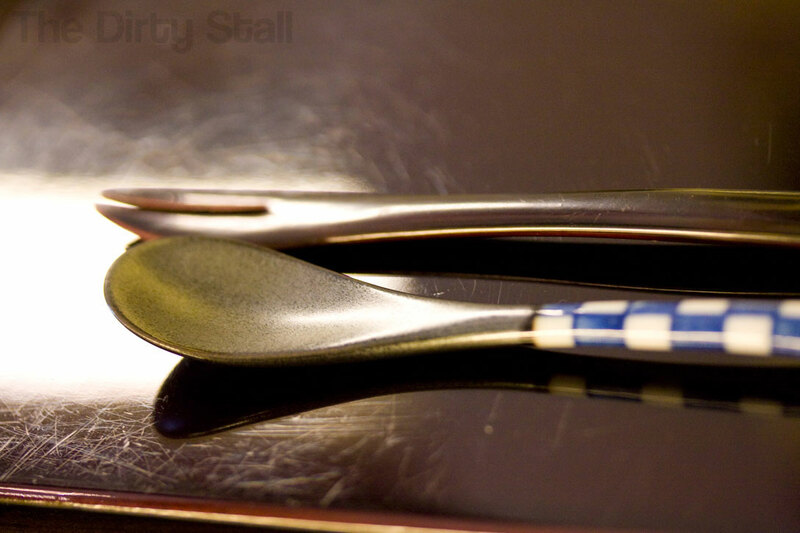 The dishes themselves are also arranged and garnished delicately, akin to Western haute cuisine. 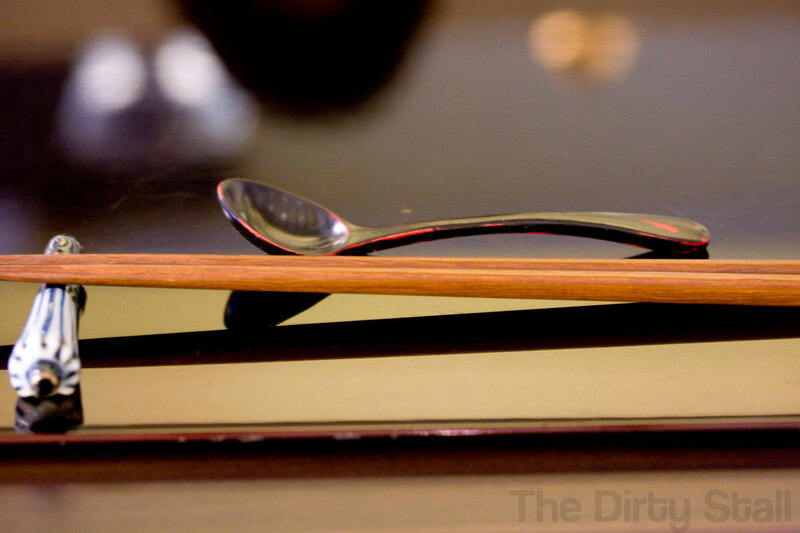 But even the tableware was selected to complement the food by their look, size and color. This is the opening platter which sets the seasonal theme for the course. In clockwise: Corn soup with green tea mousse; black bean tofu; hotaru ika with wasabi sauce; deep fried sillago and ebi sushi. The hotaru ika (firefly squid) were served raw but extremely soft and tender, with no fishiness at all. The ebi sushi was interestingly done and had a fresh crunch to it. 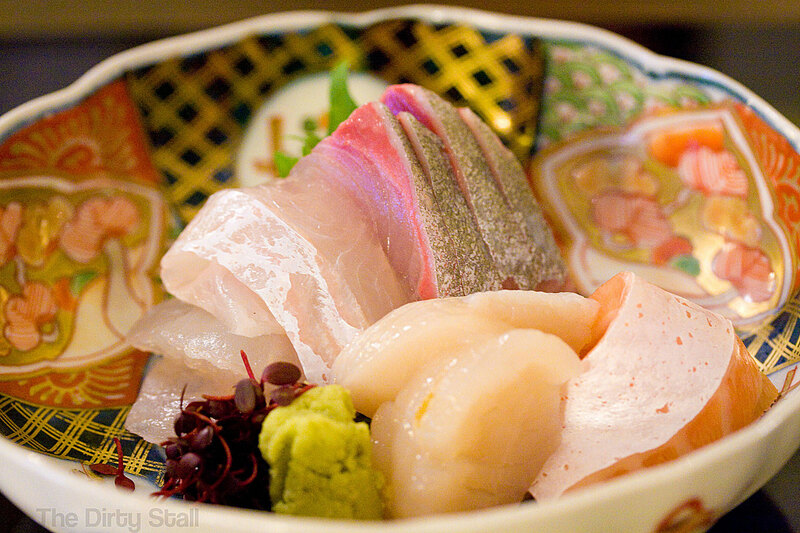 This is the seasonal sashimi platter. Wonderfully fresh! Hirame, kanpachi, hotate, salmon belly. The hotate (scallop) was especially sweet! 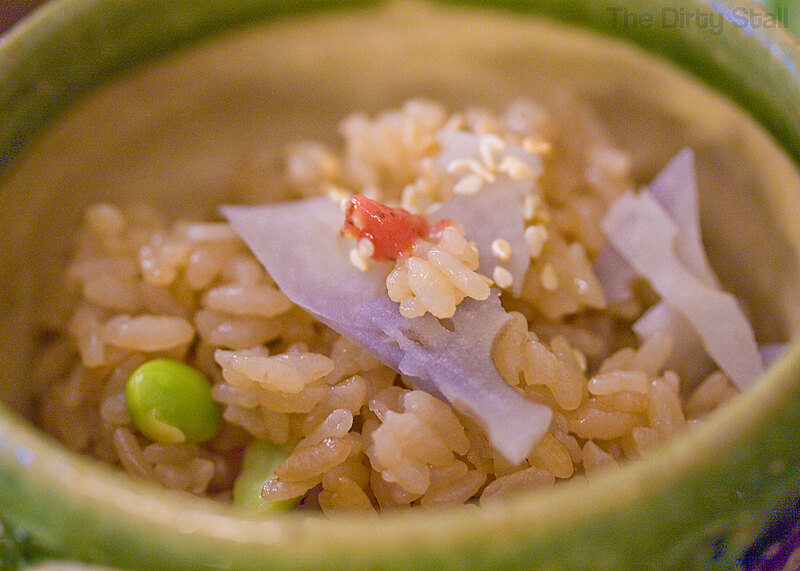 This is the simmered dish course, typically done with seasonal vegetables. Japanese eggplant, grated daikon, bonito flakes, ebi tempura, young mountain leaf sprout tempura, thickened tempura sauce. Despite my disdain for vegetables, I actually liked this dish a lot because of how the thickened tempura sauce held everything together. The Japanese eggplant was unbelievably soft and delicious, and it contrasted well with the lightly tempura’ed prawn and mountain sprout. This is the grilled seasonal fish dish. So in season now was the ayu fish, traditionally seen being grilled over a fire. 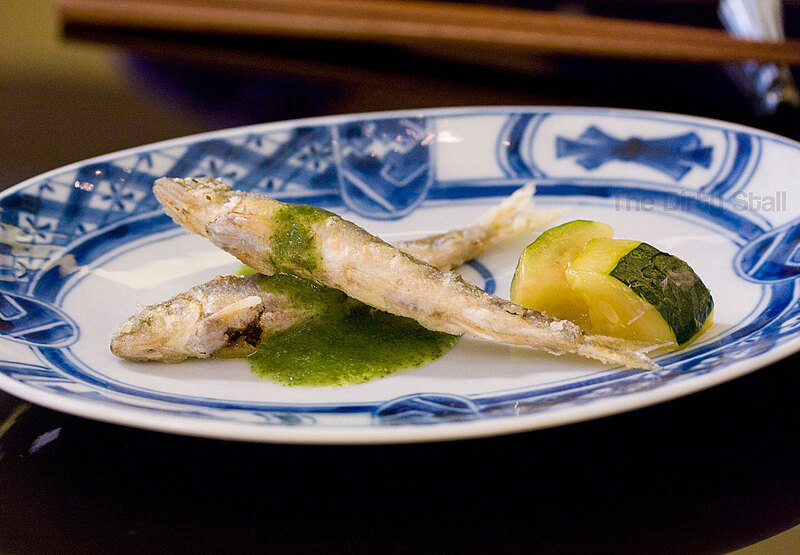 I was served grilled ayu with a basil vinegar sauce and dashi-stewed cucumbers. The ayu were actually broiled to a crisp, such that I could eat them whole like shishamo. Fresh, sweet but yet crispy, a nice combination of textures and tastes. The basil sauce really added a nice spark to the fish. This course is actually 3 courses served as one because they are each too little to be served alone. 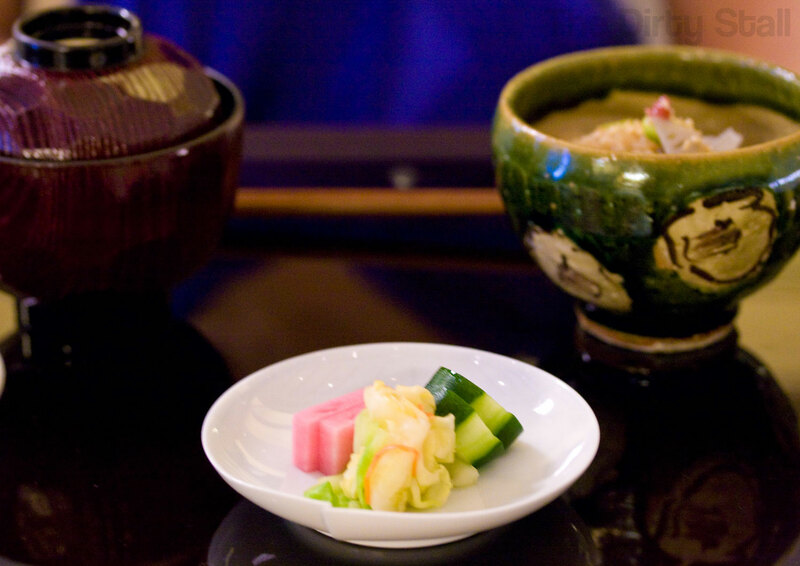 Gohan is the rice dish, with seasonal ingredients, konomono are the pickled vegetables, and tomewan is the miso soup. 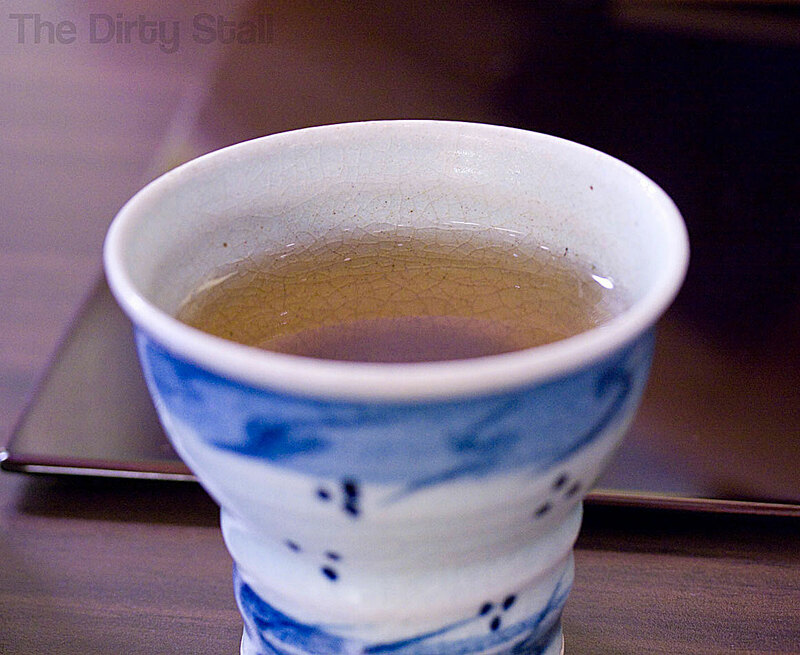 Brown tea was served alongside because of the gohan dish. The seasonal dessert which is usually fruit, confections or ice-cream. 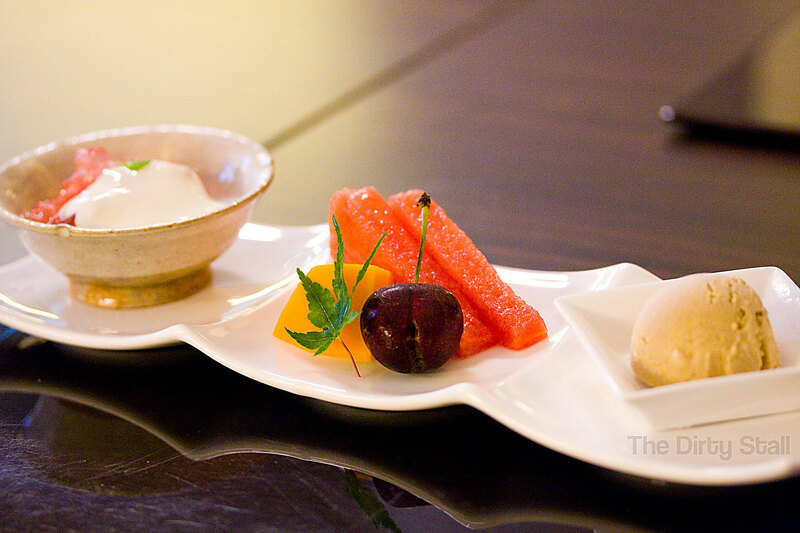 Grapefruit with jelly topped with yogurt and mint; papaya, watermelon, cherry; brown tea ice-cream. Closer look at the grapefruit jelly. 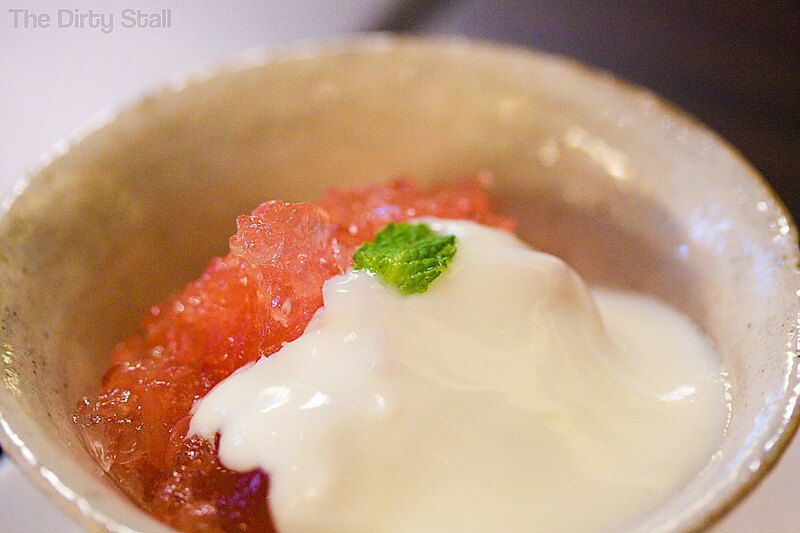 Interesting mix of flavours – the yogurt, grapefruit and jelly. 2 different kinds of sour tempered by the jelly. All in all, this was well worth the money for a traditional and exquisite kaiseki lunch. You can definitely feel the attention given for the preparation of the food and how the chef managed to coax the natural flavours out from the seasonal ingredients through light cooking methods. I am now actually tempted to return for the dinner kaiseki set! 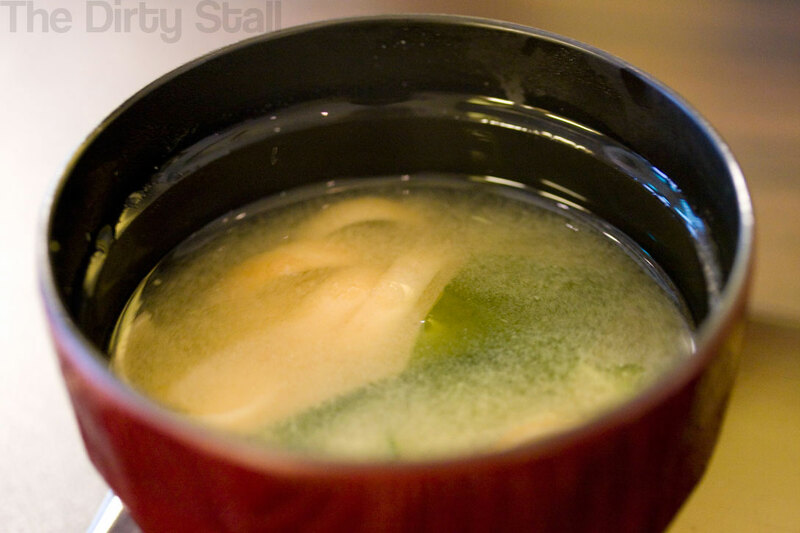 7 Responses to "Goto Japanese Restaurant – Kaiseki in the heart of Singapore"
Yep I did! And I think I’ll go for dinner too lol! 3 | ..thoroughly enjoyed my Public Holiday. « Dear Diary, Today I..